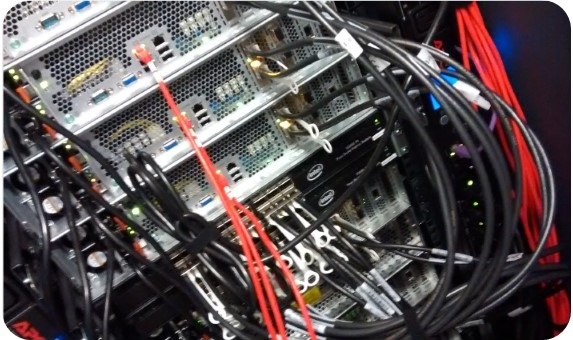 One of many server racks, SeedStor is one of many projects that utilise the computing resources at NBI. You can use this page to access information on the Collections held by the GRU Seed Bank at the John Innes Centre. From this interface you can also then submit a seed request.